Aberdeen Sports Village is the premier sports facility in the North East of Scotland, hosting an array of first class sporting facilities and delivering high quality sports services and opportunities for all at the home of sport in the North East. 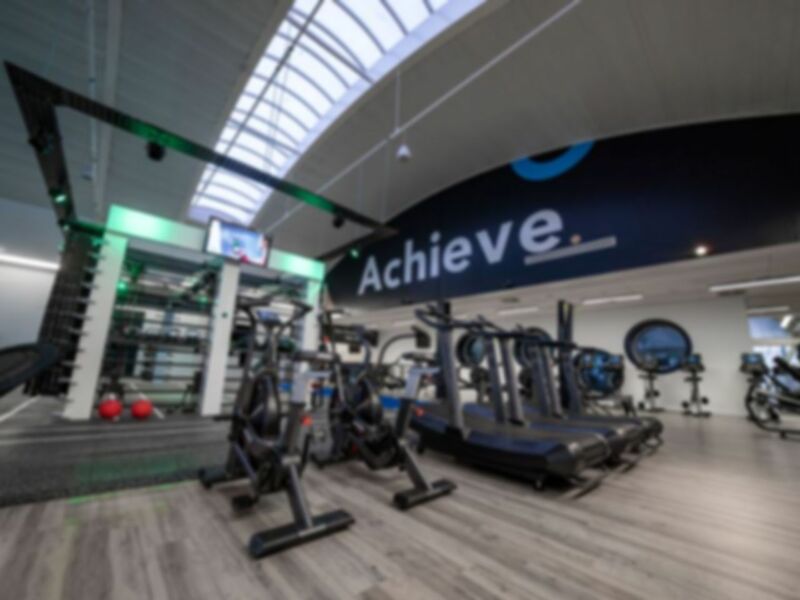 The spectacular Energy Zone takes up much of the top floor of the Sports Village, and is packed with top-class, cutting-edge equipment to fulfil all your health and fitness needs. This really is a fantastic environment in which to train in, and you can be assured of the very latest equipment, as well as friendly, helpful staff to help you to achieve your goals safely and effectively (and enjoyably, of course!). 75 cardiovascular stations, including high performing treadmills, cross-trainers, cycle and arm ergometers, rowing machines and steppers, many with personal viewing screens. 30 resistance machines, designed to adjust fully to your requirements to give you an effective and functional workout. A dedicated free weights area, encompassing 3 highly-specialised multi-rack lifting platforms, plus a full range of complimentary equipment, perfect for high performance training. Everyone will also have access to a further training space with quality sprung timber floor, which gives an invaluable open area, suitable for a variety of uses such as warm-ups, core exercises, stretching and plyometric exercises. Squash courts and Group exercise classes are also available but are not included in the cost of your Pass. Please enquire with reception for more details. As a personal trainer, I rarely need to pay to use the facilities elsewhere. But the few times I need to, I always go to ASV. Nice modern gym, good range of equipment (really love the life fitness and hammer strength stuff). Nice relaxed place to train in. Was so easy to use, was amazing to come in and be welcomed by really helpful staff, especially recommendations of machines to use to enhance my workout. Busy but good overall facility. Second time I’ve used ASV and it’s quickly becoming my favourite gym. Nice big gym, plenty of equipment, and staff were nice too. I went Sunday mid-morning and it was quite busy but there was plenty of dumbbells available to use for my workout. Hi Kevin, thanks very much for taking the time to leave feedback. We really appreciate the effort as it helps other users of our platform too. We're glad you've enjoyed using PayAsUGym and we hope you have plenty more enjoyable visits in the future.